Presents are already pouring in for the Duke and Duchess of Cambridge’s unborn baby from celebrity friends. Presents are already pouring in for the Duke and Duchess of Cambridge's unborn baby. The couple are expecting their first child this month and their celebrity pals are already lining up to lavish gifts on the tot. A source told Star magazine, "Elton John has already composed a lovely song for the baby, Stella McCartney designed a one-off baby bedspread collection and David Beckham sent a signed football with the promise that he will give private lessons when the baby is old enough. "And the White House sent exquisite pearl-handled baby toys and antique baby books." It's not just celebrities who are keen to send the royals gifts. Animal rights organisation Peta is set to give a faux-sheepskin baby blanket to the couple as it wanted to give the tiny tot an animal-friendly gift. The organisation insisted the product is better than traditional sheepskin blankets because many sheep have to endure suffering and accidental injuries during the shearing process to get their wool, and many are castrated beforehand. Peta UK associate director Mimi Bekhechi previously said, "Using a cruelty-free baby blanket is a wonderful way to start a lifetime of compassion. 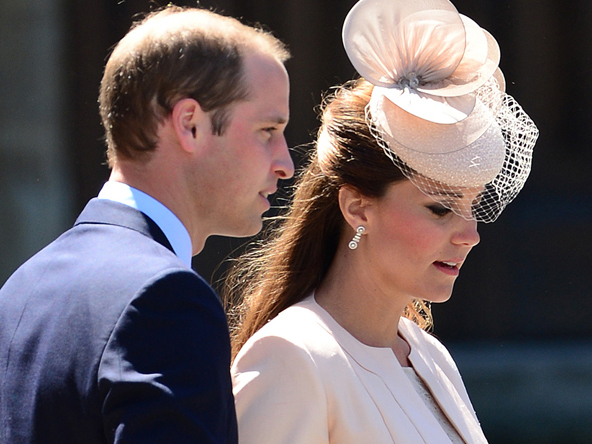 "We hope Peta's gift to the Duke and Duchess of Cambridge will inspire other parents to set an example of kindness for their families by choosing compassionately created items for their children."